The Central Bureau of Investigation (CBI) has rejected a Right to Information (RTI) plea of senior human rights activist Venkatesh Nayak for a copy of FIR, on the basis of which notorious underworld don Chhota Rajan. The rejection came after 49 days of receiving the request claiming that the RTI Act “does not apply” to the CBI because it is an exempt organisation under Section 24 of the Act. The Central Public Information Officer (CPIO) of the CBI said the “exemption” is based on a notification issued in June 2011 by the Department of Personnel and Training, Government of India, which said the RTI Act is not applicable to that organisation. Taking exception to the argument, Nayak says, “This is another instance of the impunity with which several exempt organisations treat RTI applications.” He adds, “The proviso underneath Section 24 of the RTI Act makes it clear that even exempt organisations must provide information about allegations of corruption.” The FIR was reportedly registered under the Prevention of Corruption Act, 1988 (PoCA). 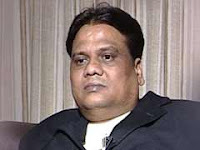 Earlier, the Ministry of External Affairs (MEA) rejected Nayak’s application seeking for all records relating to the issuance of the fake passport to Chhota Rajan. MEA invoked Section 8(1)(j) of the RTI Act to reject the request holding that it was "personal information" and also cited a judgement of the Delhi High Court in support of its rejection. Interestingly, the Indian Consulate in Sydney has not still to reply to the queries of Nayak's RTI application sent to MEA, which is about the name and designation of the officer who issued the 'fake passport' and all file notings related to that decision. "Thirty days have lapsed since the RTI application was transferred to the Indian Consulate in Sydney", he points out.